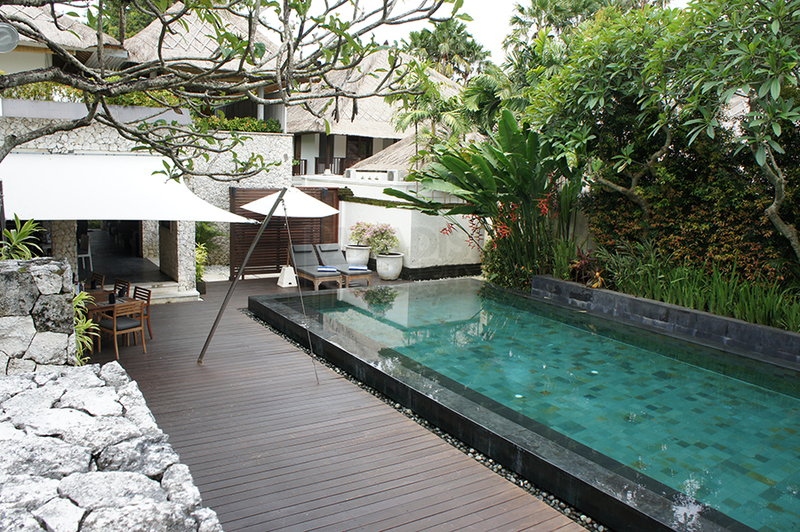 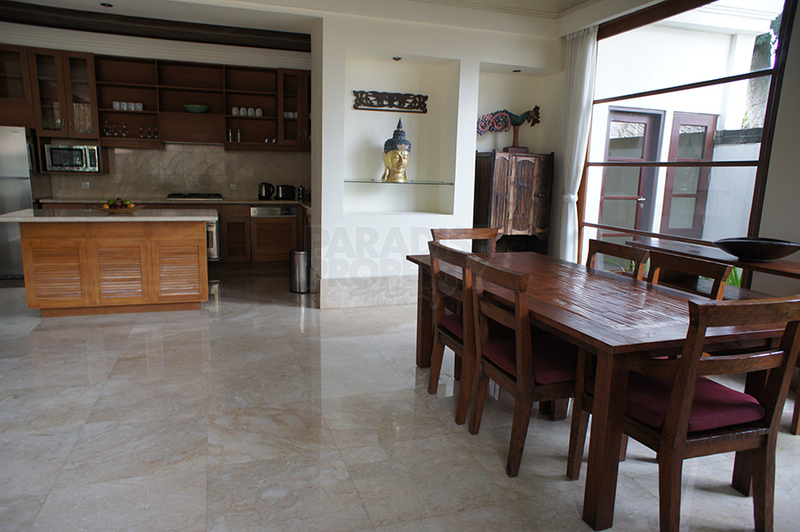 Modern 3 Bedroom Villa in Premier Jimbaran Resort. 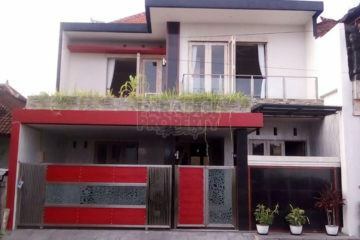 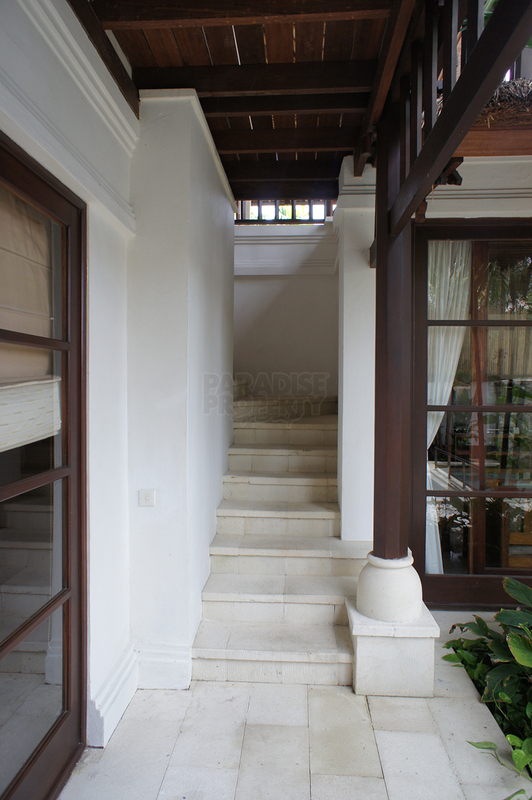 Home » Villa » Modern 3 Bedroom Villa in Premier Jimbaran Resort. This beautifully built villa is located in one of Jimbarans premier resorts, with easy access to all amenities in the Jimbaran Beach area. 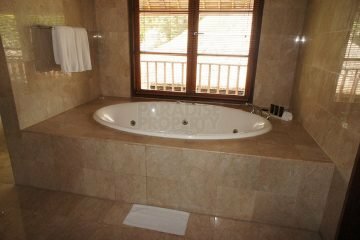 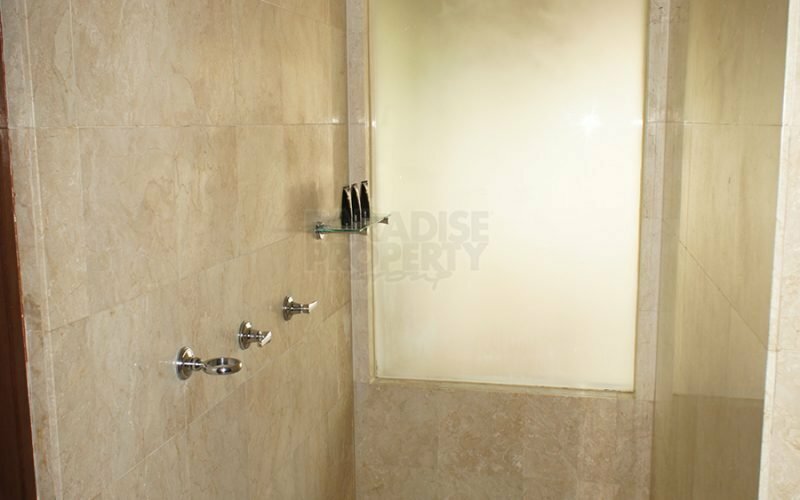 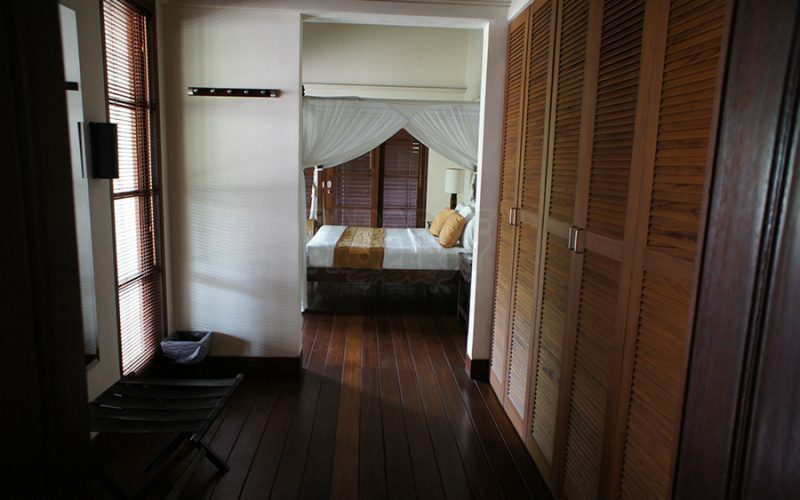 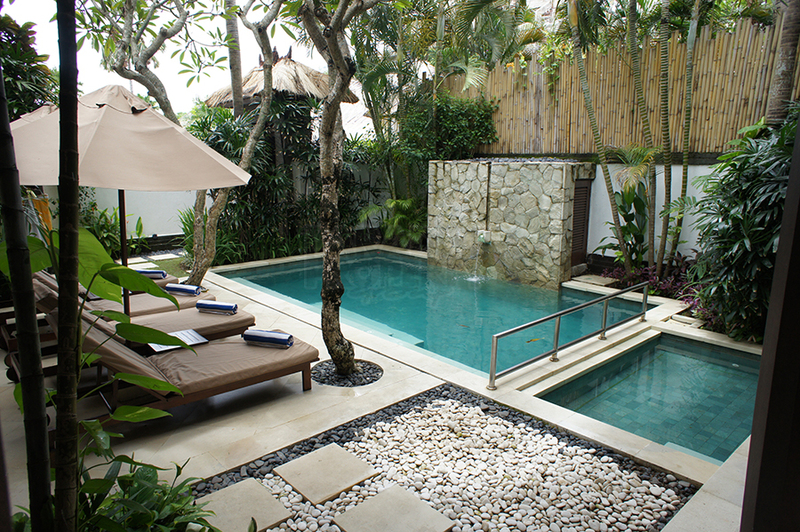 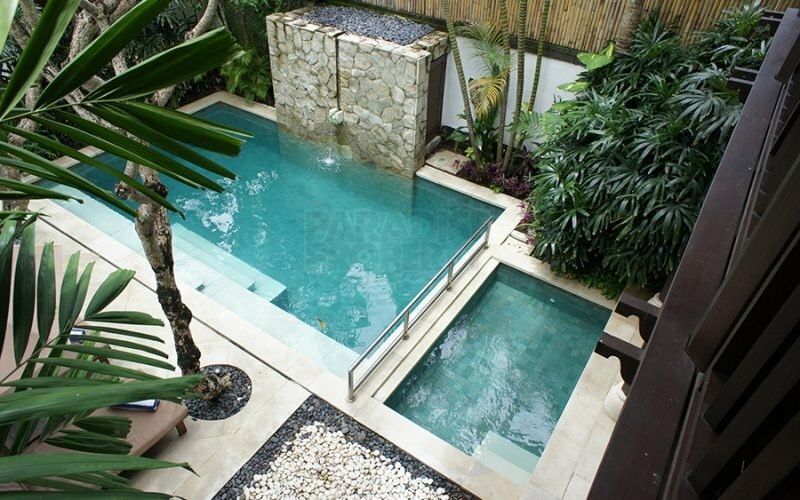 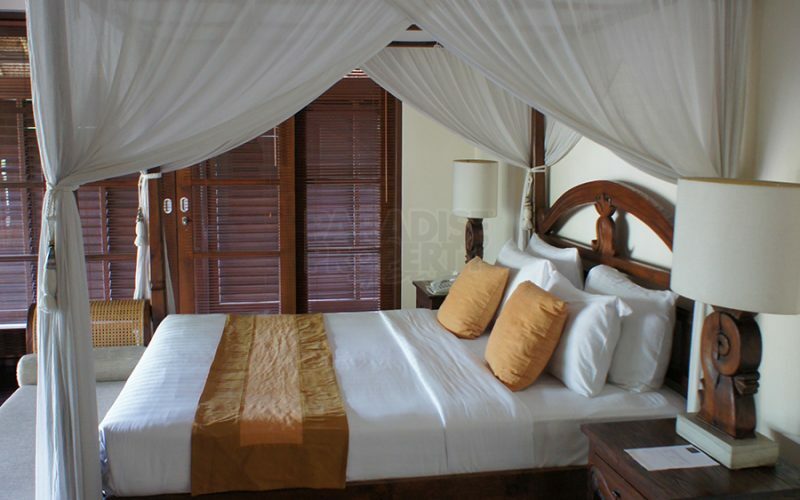 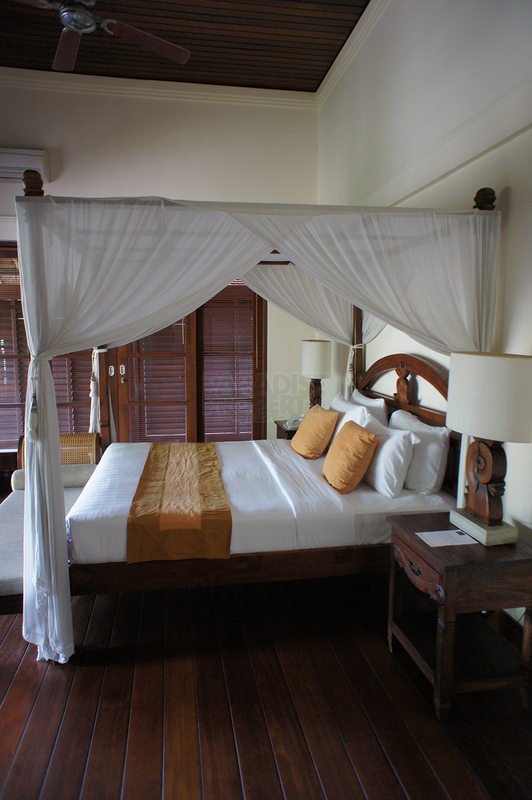 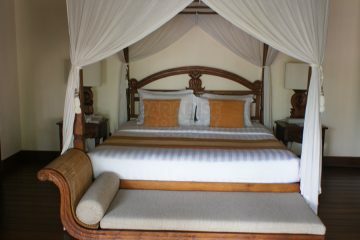 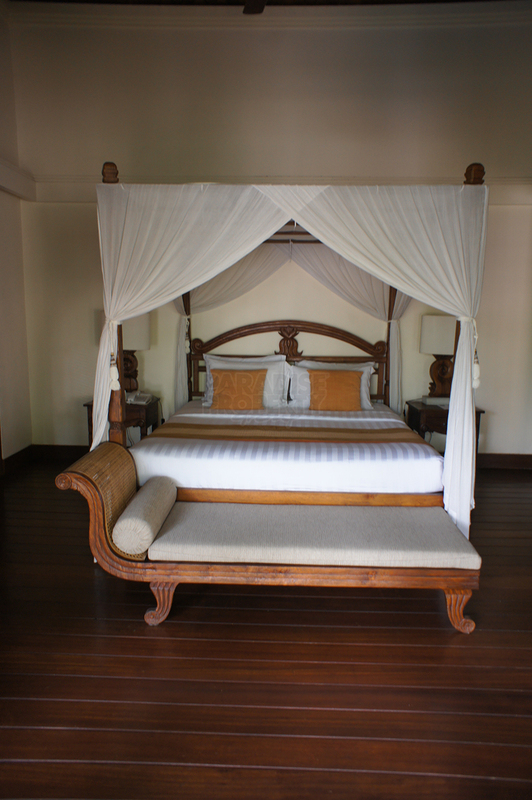 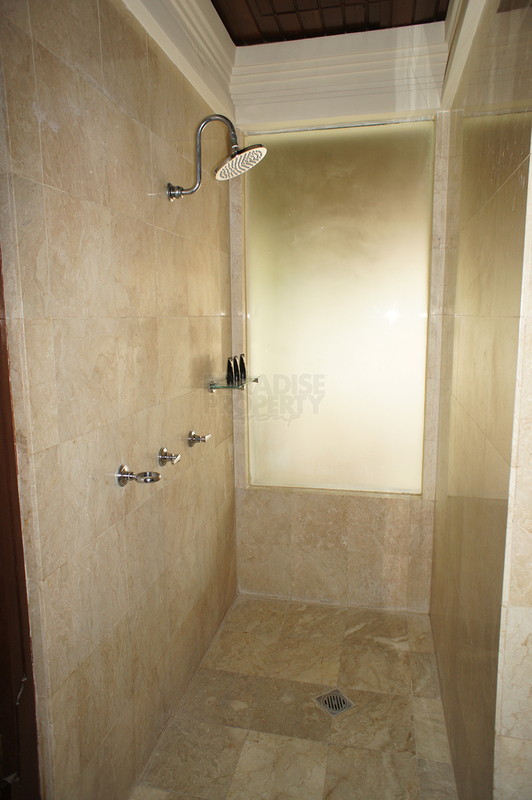 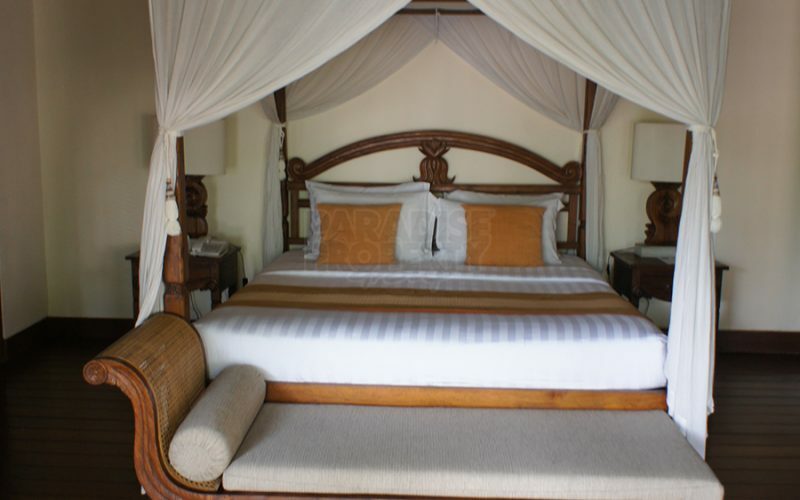 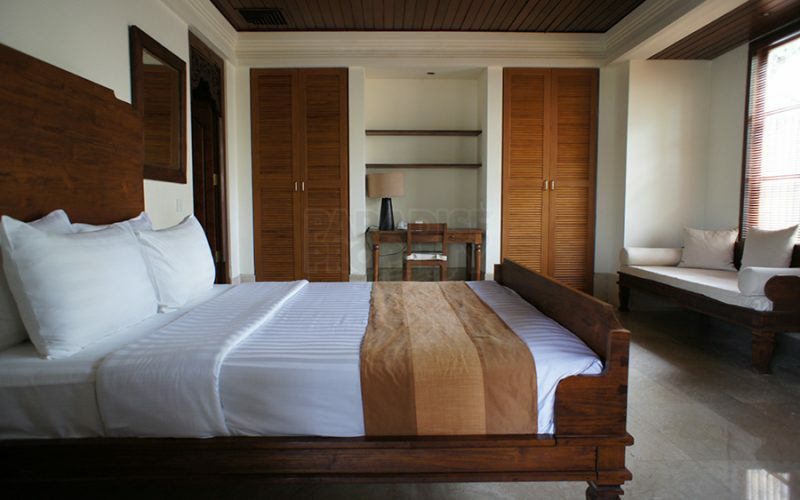 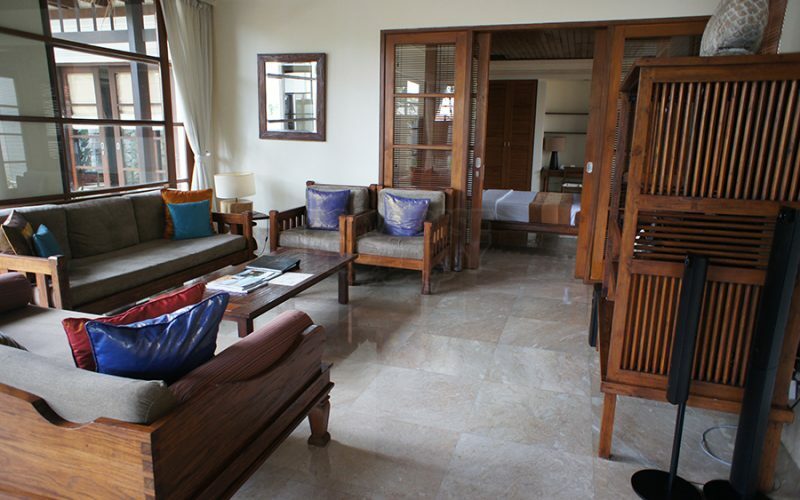 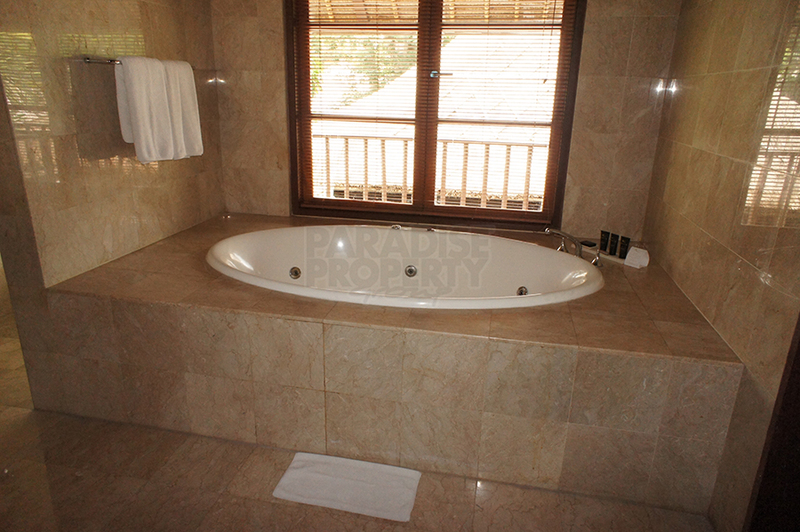 The villa consists of 2 floors with 3 bedrooms, all with ensuite bathrooms and outdoor showers. 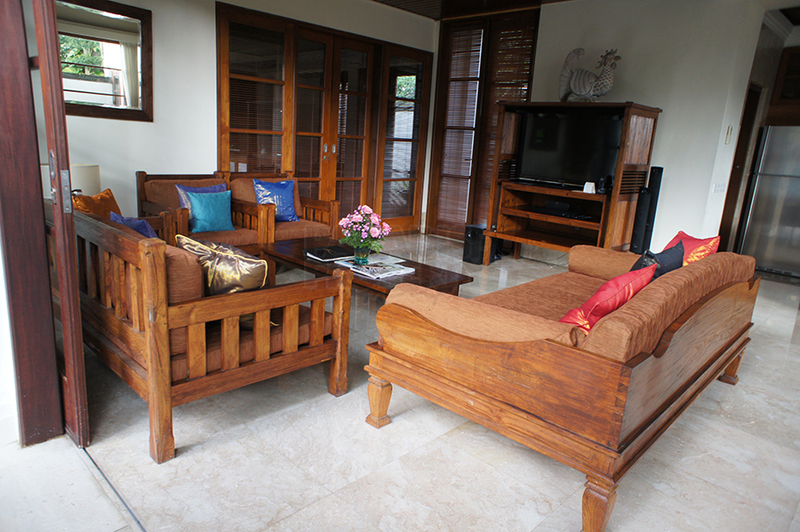 The comfortable living room opens out to the pool area, which also includes a children’s pool. A well equipped western kitchen with separate pantry, has all modern appliances and plenty of cupboard space. 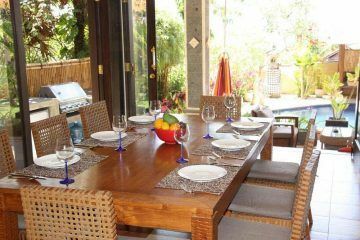 The spacious dining area will comfortably accommodate 6 dinner guests. 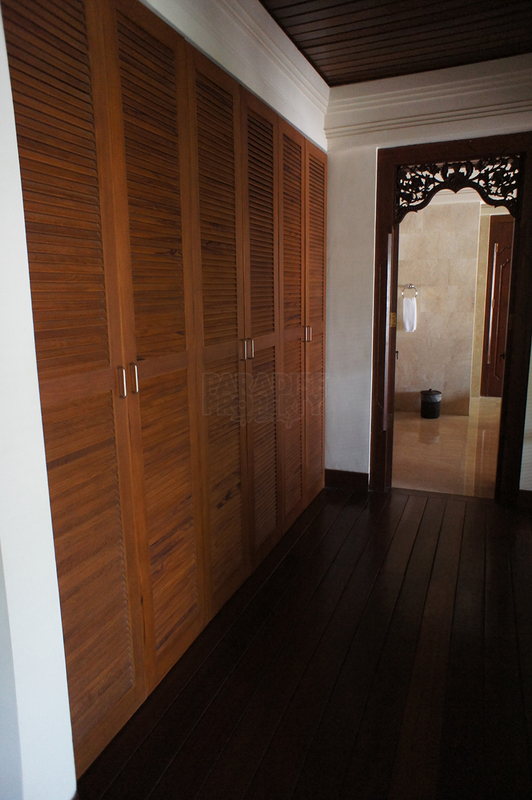 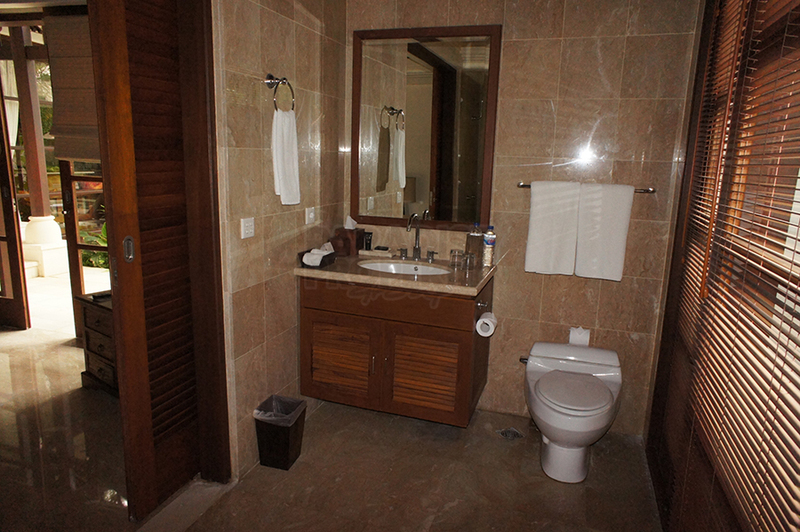 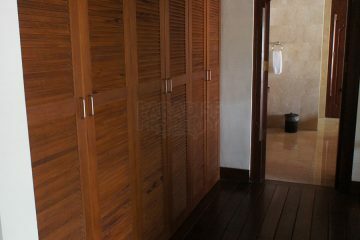 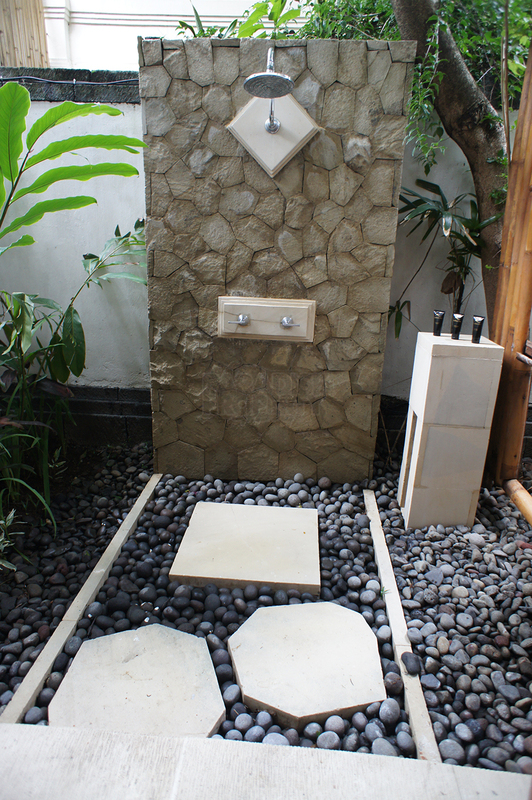 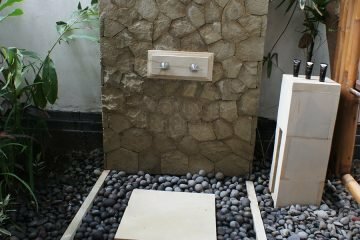 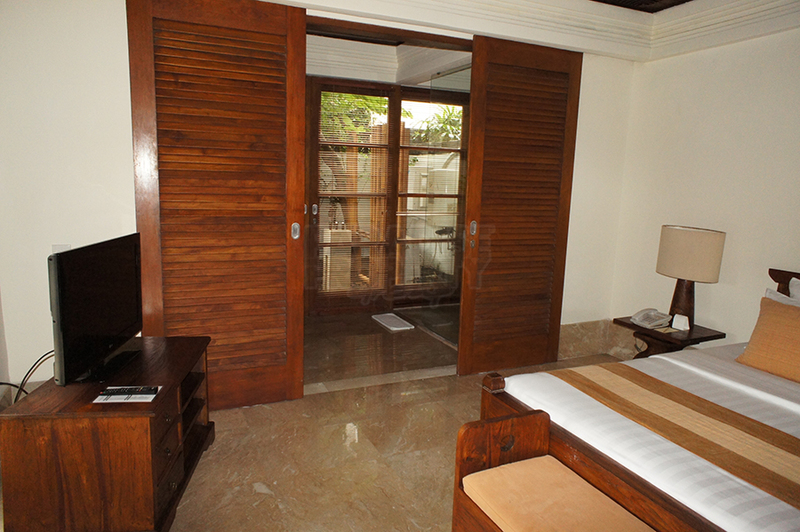 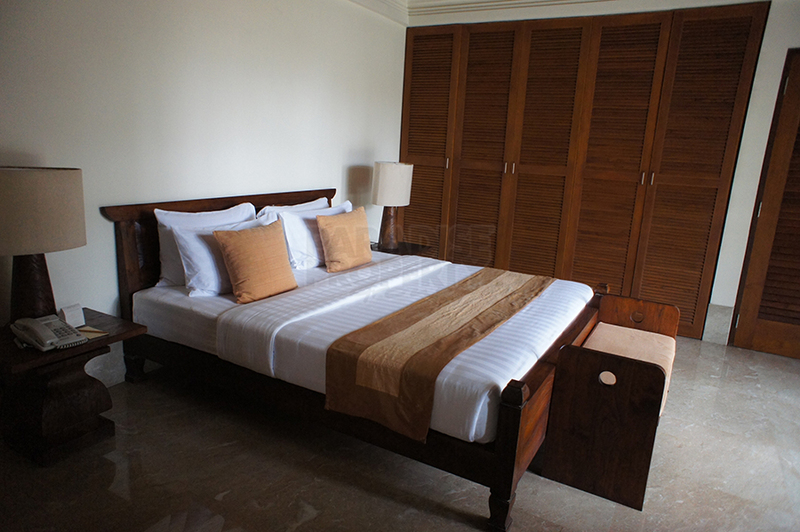 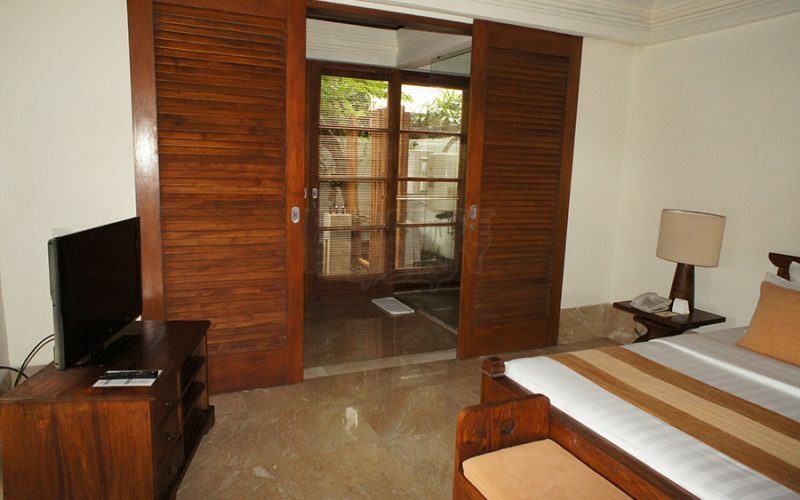 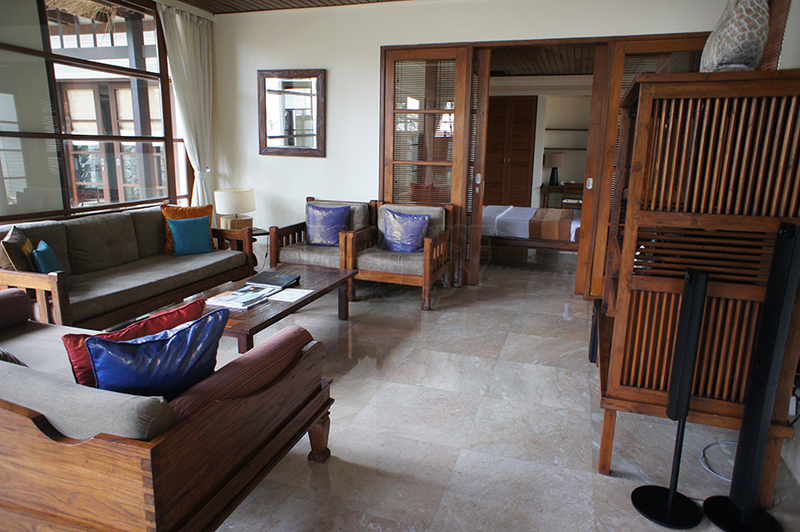 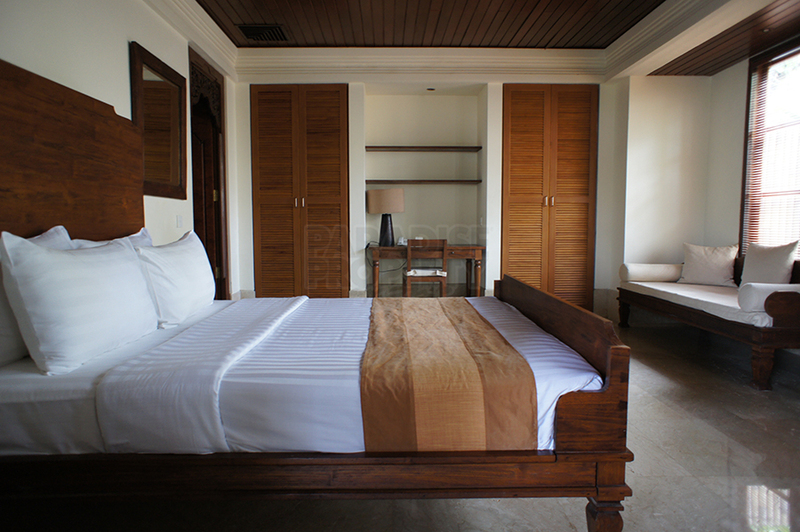 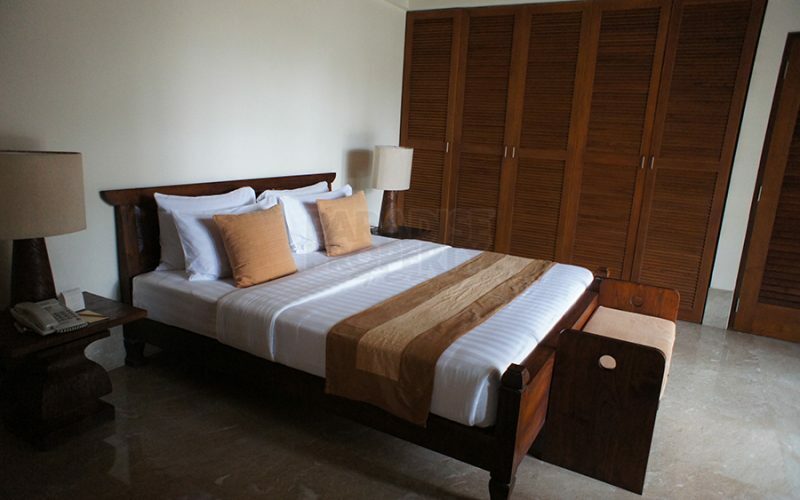 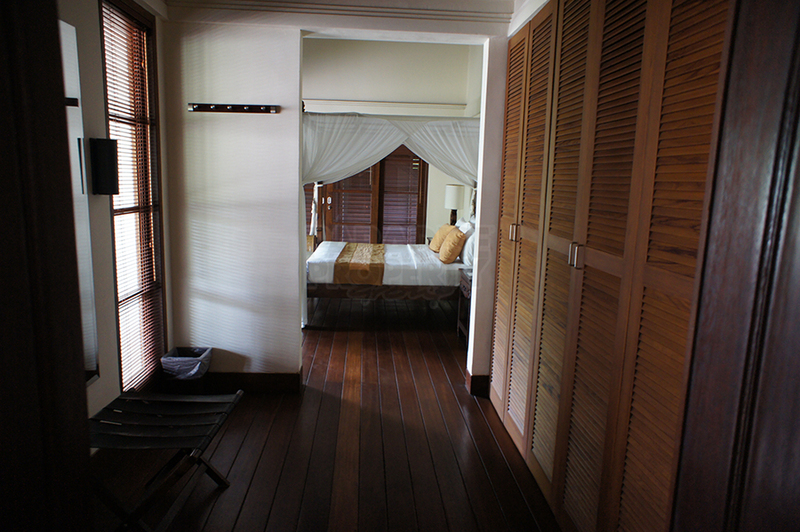 There is also a staff room with bathroom and storage area, which are separate from the main villa. 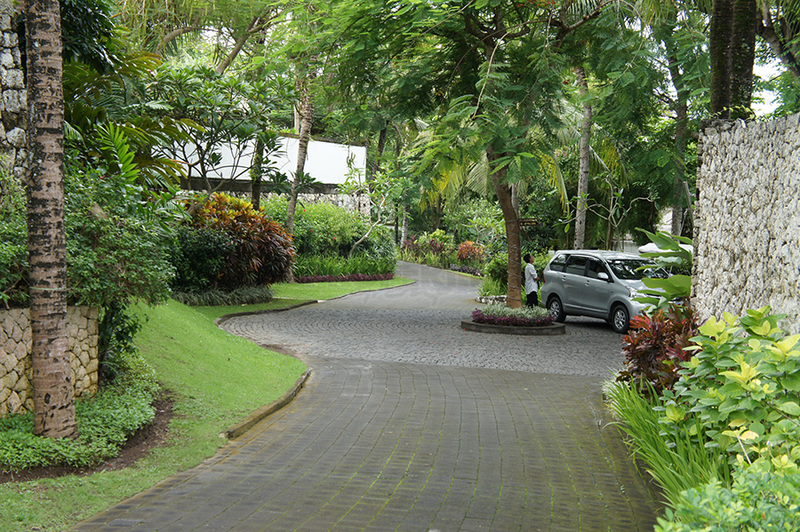 The garden is well maintained with easy care plants and trees, providing plenty of sun shade. 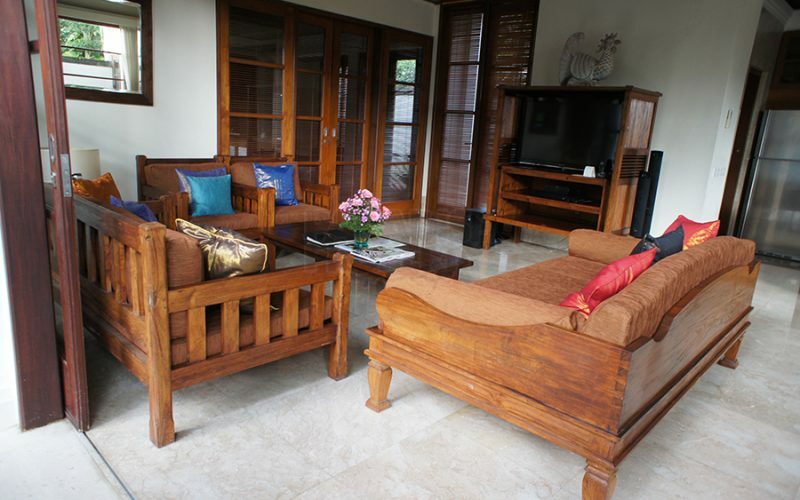 Fully furnished throughout, this villa was built in 2004 and provided with good quality furnishings and fittings. 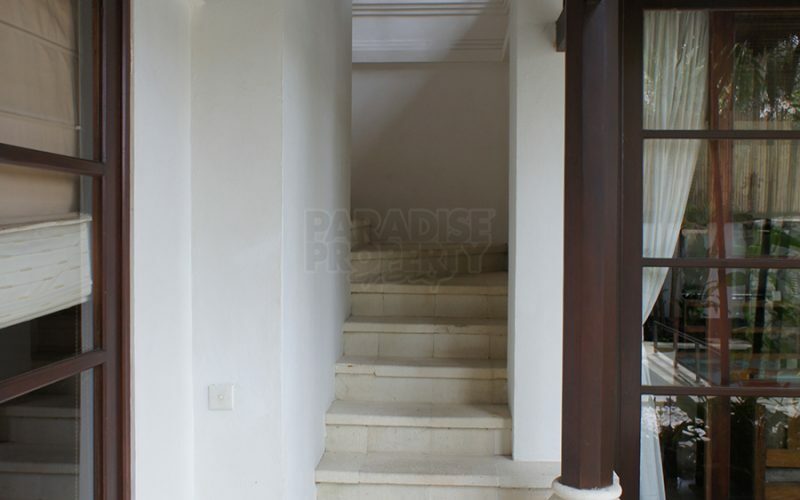 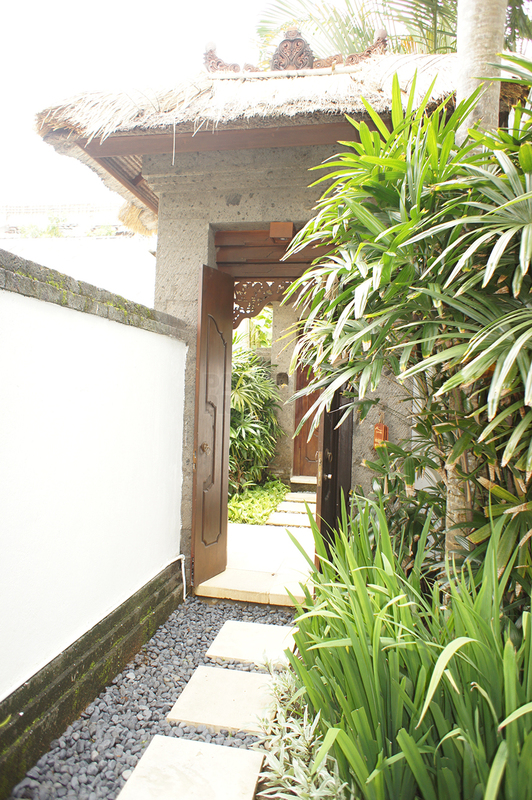 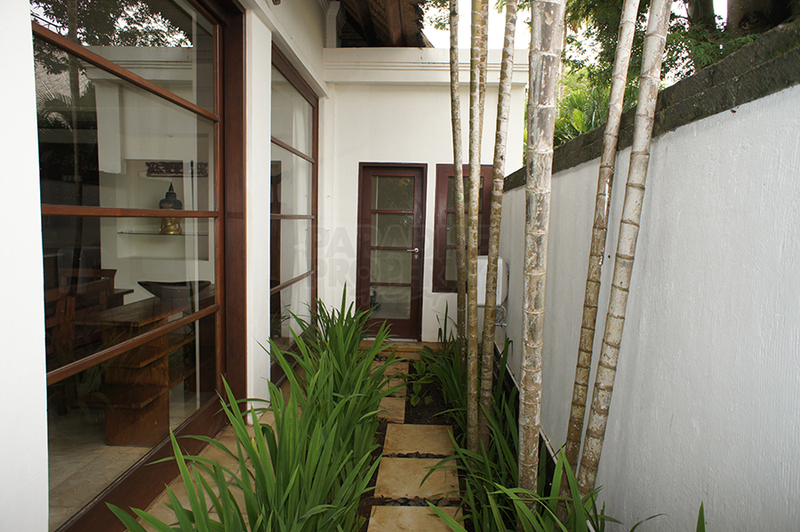 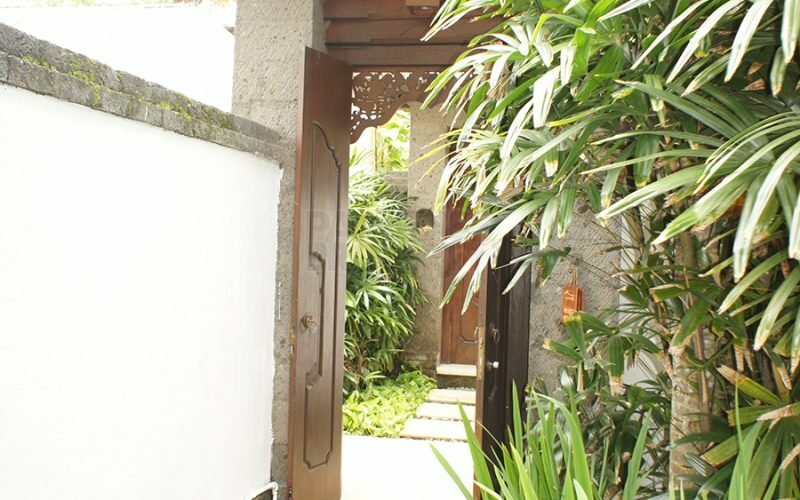 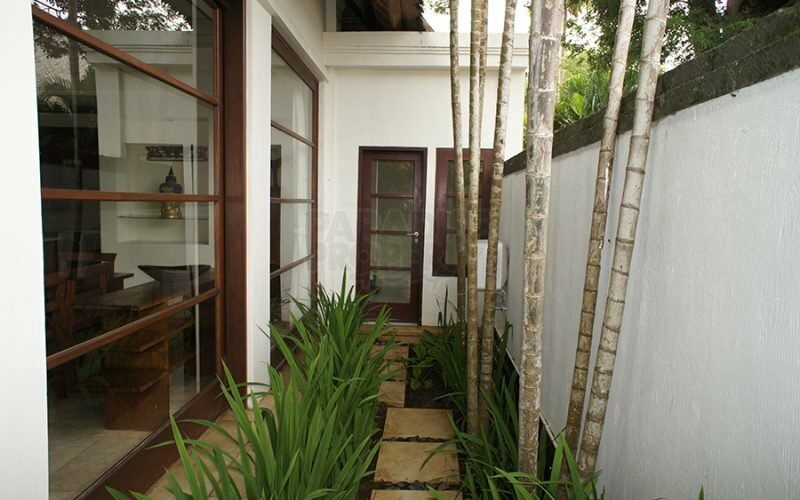 Access to the villa is through a lockable entry to the villa compound which ensures privacy is assured. 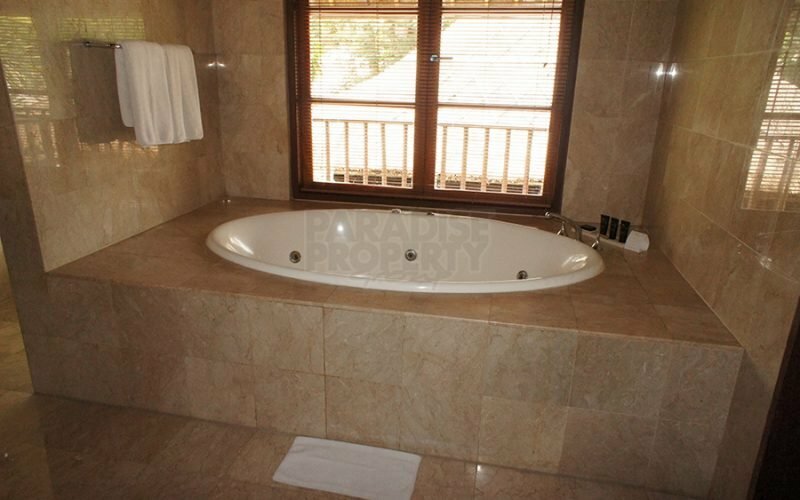 The resort has a rental pool for non resident owners and provides a rental occupancy rate of between 55% – 65% per annum (Owner to negotiate with resort). 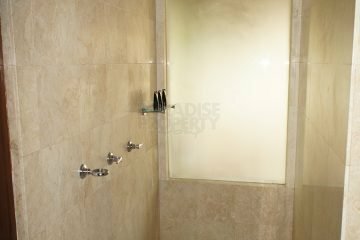 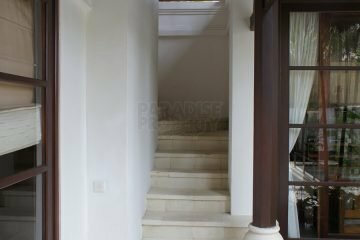 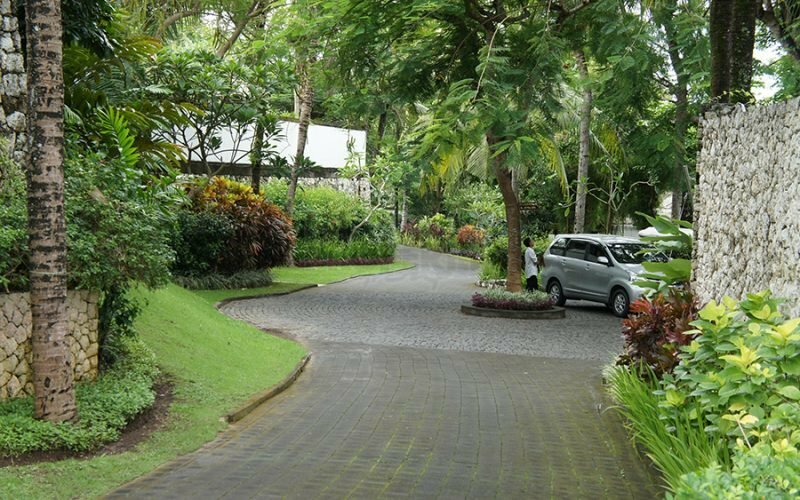 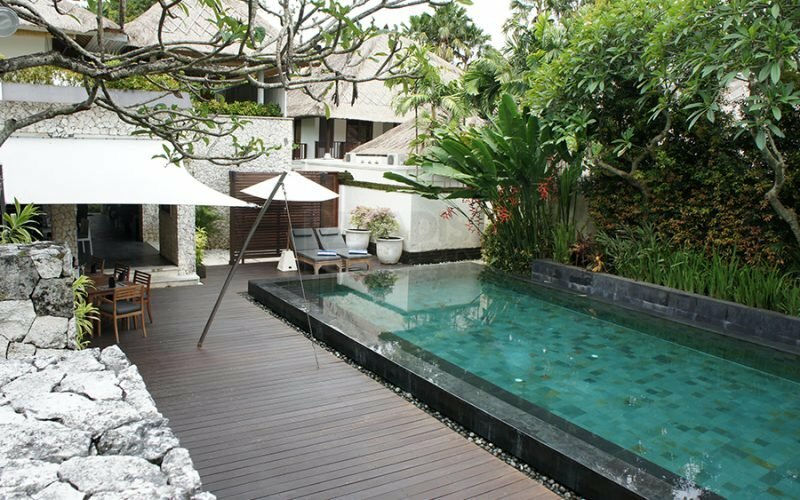 This property is located a mere 200 metre walk to Jimbaran beach, with well renowned fresh seafood restaurants and watersports. 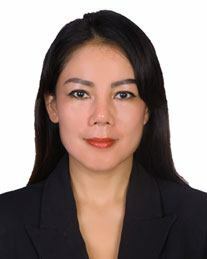 Close by are many shopping options, supermarkets, souvenir outlets and good restaurants, which have many varied menu choices and a drive to the International Airport is less than 10 kilometres.